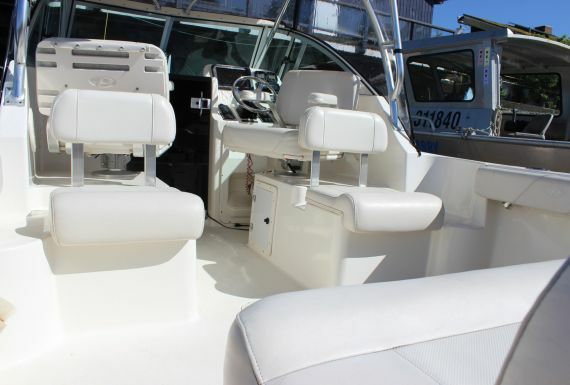 Our 27 foot Pursuit 255 is a beauty that is sure to impress. 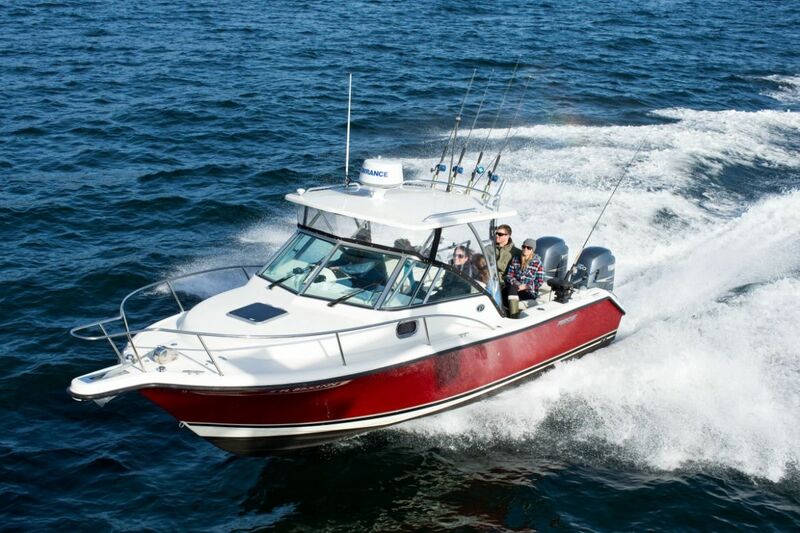 Designed with offshore fishing in mind the Red Sky provides cushioned seating with backrests for five people, a covered cabin, a private electric flush toilet, and the latest in marine electronics including a 12" touchscreen GPS, newly developed broadband radar. 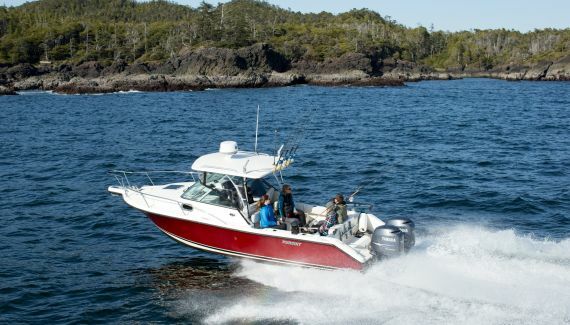 300 Horsepower is provided by clean quiet twin Yamaha four strokes outboards. High sides and great stability provide a comfortable and safe experience for children, seniors and everyone in between. 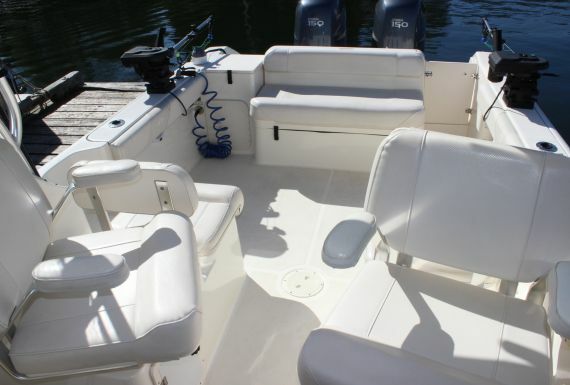 This boat is designed to give our anglers a serious edge while providing maximum comfort. Pursuit has been producing quality yachts for decades and this vessel is no exception. An excellent hull design ensures a smooth ride and there is plenty of room to relax while travelling and fishing. The back deck design ensures there is plenty of room to play and land fish, even when we are in the mist of double-header action! 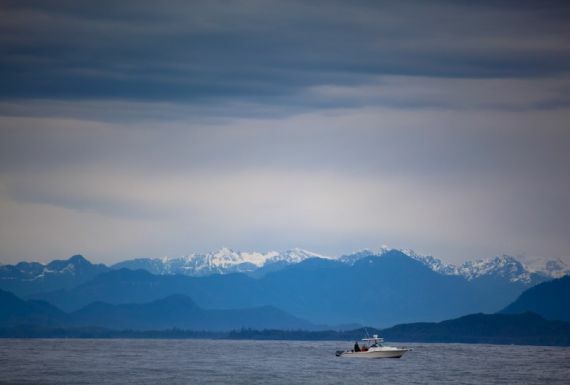 Power Scotty downriggers are at the core of our salmon fishing operation - top quality Shimano and Fenwick rods and Avet and Islander reels insure that the angler has the upper hand. The vessel is also amply stocked with the right premium bait and tackle to get the job done. 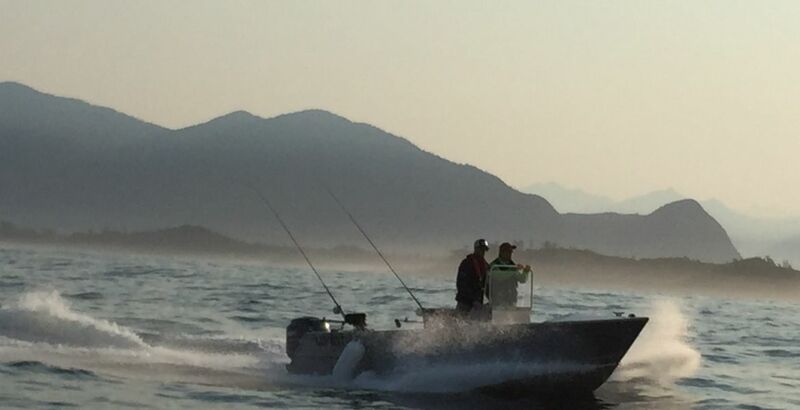 Our 20' Lifetimer aluminum center console equip with a 115 Yamaha four stroke and power downriggers is a terrific vessel from which to explore Clayoquot Sound and the outer reefs. Ideal for one or two anglers this vessel is a great platform to troll for salmon or cast a fly. Join one of our certified local guides for an intimate west coast experience. When multiple boats are in demand we rely on our local contract guides to ensure our clients are well looked after. All guides that we book charters for are owners and operators. 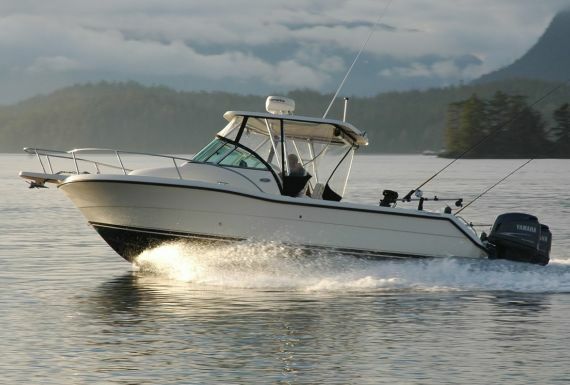 We will pair you with a safe and reliable guide in a quality vessel for your fishing adventure. Family Fishing Tours Learn/fish/enjoy - The perfect way to get your family out on the water. Inshore Fly-fish|Salmon troll Fly-fish or troll salmon from our 20' center console in scenic Clayoquot Sound.